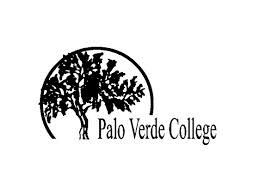 Whether you are interested in going to class on campus, distance education, online education, or even interactive TV-education, Palo Verde has offerings under all of these types of study. The college offers a wide variety of certificate programs, associate degrees, and transfer programs for those interested in transferring to a four-year university after completing their first two years of education at Palo Verde.Palo Verde stands out from other community colleges in that it offers its students several modalities of study. There are traditional courses that are taken at the campus, but correspondence courses are also available as well as online courses. This means that any student can study from home and get the same kind of education as a student who attends classes on campus. Keeping with its long standing tradition of educational innovation, Palo Verde also offers its students the possibility of TV-education, which basically means that students can watch their classes on television instead of actually having to go to the campus.